I feel like I have to make a confession here. I workout. A lot. I’ve become one of “those” people. The ones who carry a bag to the gym, with 3 different kinds of shoes, gloves, jump rope, protein powders, etc. Now? I don’t care what people think of me, because I feel GOOD. Well, most days I feel good. The others days I’m sore as heck from lifting heavy weights! One thing that has helped me feel NOT as sore after a workout is making sure I consume ALL THE PROTEIN afterwards. I made a version of these Peanut Butter Quinoa Protein Bars a year ago, and never shared the recipe on the blog. I love them, but thought, you guys don’t care about health food around here! Turns out I was wrong! Many of you are JUST LIKE ME. You love to eat healthy meals, like this Almond Pesto Salmon, but then indulge in the occasional Snickerdoodle Cheesecake Bar. I feel ya! 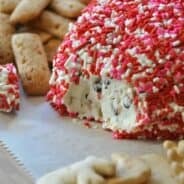 As many of you loyal readers know, I have been partnering with Fisher Nuts for over 4 years, making many sweet and savory recipes just for you! Not all nuts are created equal, and I LOVE the flavor of Fisher Nuts. 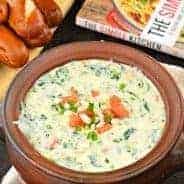 You’ll find many recipes where people “toast” the nuts to bring out more flavor. I gotta be honest with you, I don’t usually take that extra step. Fisher Nuts are quite flavorful right out of the bag, perfect for snacking on the go (LOVE their resealable bags)! Fisher Nuts are also non-GMO Project Verified and have no preservatives. You can feel good about using this brand in all your recipes! Speaking of feeling good…February is Heart Health Month! There are over nine varieties of Fisher Nuts that are verified by the American Heart Association as heart healthy. Today’s recipe calls for Fisher Nuts Sliced Almonds! 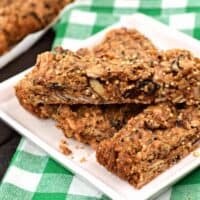 These are great in Chicken Salad, as well as in these Nutty Granola Bites! 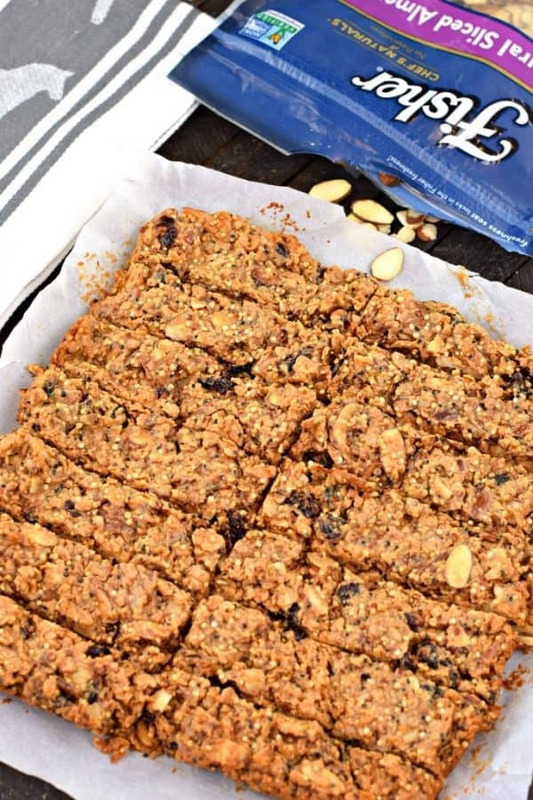 One thing I love about today’s Peanut Butter Quinoa Protein Bars recipe is how easy they are to make. Okay, I love the flavor too. And I love that it’s packed with protein. Oh, and I also love the crunch from the almonds and quinoa. Yeah, so I love EVERYTHING about these bars. EXCEPT that they are hard to photograph, haha. Trust me when I say they taste better than they look! 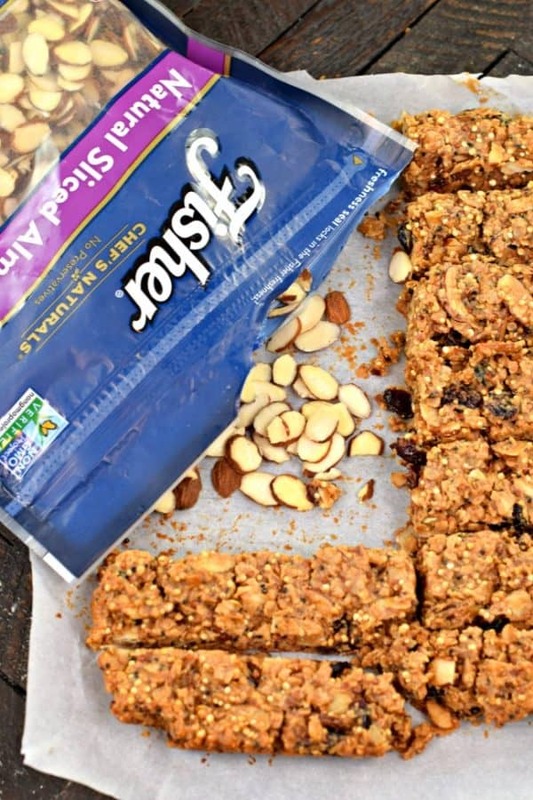 Have you ever eaten a protein bar that LOOKED pretty? I don’t think so. First, get your oven preheated and your baking dish lined with parchment paper. VERY important. These bars are sticky, so using parchment paper in your pan helps them come out in great shape! Second, make sure you have all the ingredients on hand. I used quick cook oats and whole grain organic quinoa. Uncooked. I wanted a little extra chew and crunch in these bars. I also used Fisher Nuts Sliced Almonds, which if you can’t find them at your local grocery store, you can get them on Amazon! If you want MORE protein in these bars, add a scoop of your favorite vanilla protein powder. Bake according to the recipe, but be sure to allow them to cool completely before slicing! 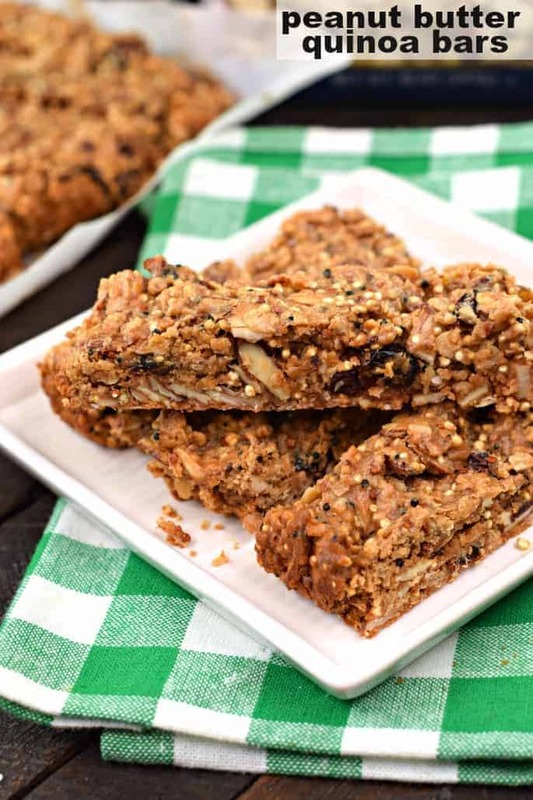 This recipe makes 14 large protein bars (with approximately 235 calories, and 9 grams of protein per bar- depending upon the brands and ingredients used). 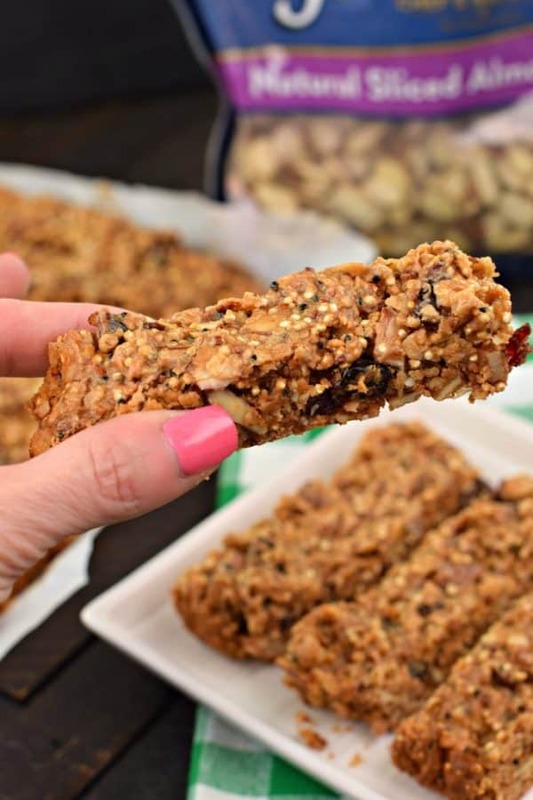 Chewy and nutty, these protein packed Peanut Butter Quinoa Protein Bars are the perfect post workout snack or breakfast on the go! 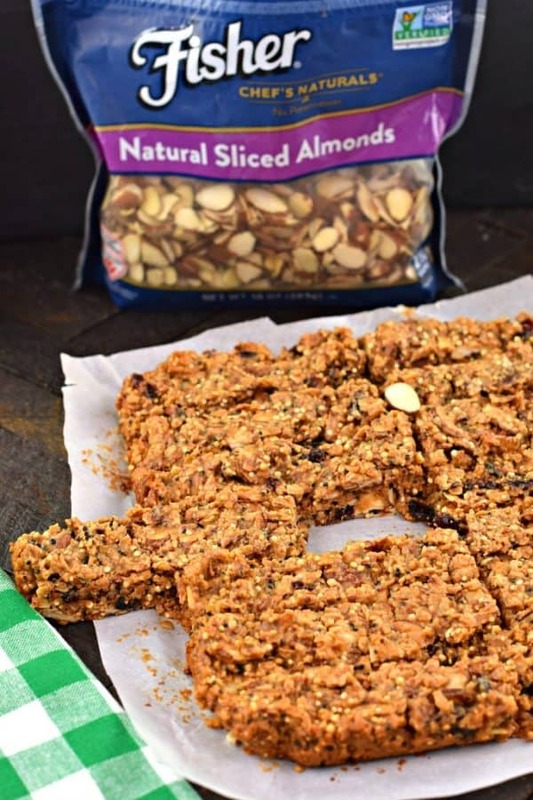 Packed with flavor, and heart healthy almonds, you'll feel great choosing this as a snack or meal! Preheat oven to 350°F. Line an 8-inch square baking pan with parchment paper. Set aside. 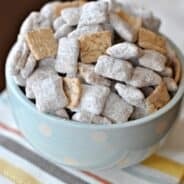 In a large mixing bowl combine all the ingredients. Mix just until blended. Pour into the prepared baking dish and press lightly into pan so it's even in thickness. Bake for 22-25 minutes, until golden. Remove from oven and cool completely for about 15 minutes. Lift out of pan using parchment paper, and place on cutting board. Cut into 14 slices. Store in airtight container for up to one week. ENJOY. That’s awesome you know feel so confident going into the gym! I am the same way, I do a fit body bootcamp not crossfit but its insane the mental strength you gain as well! Always need a yummy protein bar option, thanks! Any suggestions on which brand of peanut butter to use? I know some brands are stickier than others. Also, can you substitute one of the other nut butters? I took up kickboxing about 11 months ago and love it. It has the longest 15 minutes of your life at the beginning, aka the warm-up, and then there are bag rounds and partner drills.